The information has come through a little later than normal, but we now have the full Nintendo Download Update run-down for North America. There's a big-name retail arrival on Wii U that's been inked in for some time, a critically acclaimed indie release, two doses of classic Mega Man and a lot more besides. Let's get to the details. Missed the European Nintendo Download Update earlier this week? Don't fret! The details are right here. Splatoon (Nintendo, $59.99) - Certainly the most notable Wii U release of the year so far, this new IP is Nintendo's unique take on the shooter genre, with a third-person view and a focus on claiming territory as well as kills. There's a single-player campaign on offer but it's the online multiplayer that's likely to grab the most attention; remember to check out our 'in progress' Splatoon review - available from 29th May. 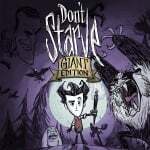 Don't Starve: Giant Edition (Klei Entertainment, $14.99, extra free copy when bought before 28th June) - An intriguing and stylish survival experience that has been critically acclaimed. The Wii U version also comes with the Reign of Giants expansion pack as part of the main game, while utilising the GamePad for inventory management and off-TV play. We'll try and survive to bring you a review soon. Baila Latino (O2 Games, $29.90) - O2 Games don't have a very good track record on the Wii U eShop, with all their games to date performing horribly in reviews. Let's see how this dance game created with the choreography of professional dancers Carlo Romano and Vera Sokolova, from the prestigious "Carolyn Smith Dance Academy" does in our upcoming review. 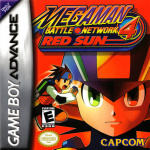 Mega Man Battle Network 4 Red Sun & Blue Moon (Capcom, $7.99) -The latest entry of this RPG spin-off series that graced the Game Boy Advance. This time around Lan and Mega Man have to worry about an asteroid heading to Earth and a NetNavi threatening the network, which sounds like a tough day at the office. We'll run some antivirus software and then get stuck into a review. 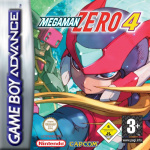 Mega Man Zero 3 (Capcom, $7.99) - In the third chapter of the Mega Man Zero series, the robotic hero must again come to the aid of Neo Arcadia; this time when danger looms in the shape of a new, giant Reploid: Omega! Fortunately, Zero's arsenal is now even more powerful. New customisation chips replace the previous Form system, allowing you to combine chips to adapt to any situation, and the Cyber Elf system has also been overhauled. We gave this a strong recommendation in our Mega Man Zero 3 review. Rival Turf! (HAMSTER Co., $7.99) - A brawler from the early days of the SNES, at the time this one was advertised as a great way to beat up thugs with a friend, with six stages and a Vs. mode also thrown in. We'll check this out once again, but we were rather scathing of this in our Wii Virtual Console Rival Turf! review. Glory of Generals: The Pacific (CIRCLE Entertainment, $6.99) - CIRCLE returns with another release on the 3DS eShop, this time providing a follow-up in its wartime (and rather complex) strategy series. This aims to offer plenty of value for money, with over 64 campaigns and 100 generals aiming to school you in battle, while those that own Glory of Generals will get a bonus. We were disappointed by some flaws in the original, but will see whether this new entry is a notable improvement in our review. G.G Series WONDERLAND (Genterprise, 200 Nintendo Points / $1.99) - DSiWare is back, break out the bunting! It's been a while since we had a DSi Shop release (also on the 3DS eShop, of course) and this one is a budget shmup that is riffing on a particularly violent interpretation of Alice in Wonderland, because why not? We'll get a bit literary for our review. That's everything on the way to North America this week. Let us know what you plan to download in the poll and comments below. Why was there a delay with this one? I know it isn't you guys at NL.com. Also, why does Europe get it on Monday and we in NA only get it the day it goes into effect? Has anyone played the 3DS version of The Amazing Spider-Man 2? I saw a 3 sentence review saying that there is no Free-Roaming, but the game description in the eShop says there is. I cannot find any review for this version of the game at all, only reviews I ever see are for the Home Consoles. Not the Portable Consoles! The Ninja Turtles games are also on sale. @No-longer-postin On the delays, I don't know on either score, unfortunately! We just have to roll with it. Ok. just curious is all. Anyone who might be thinking of downloading Don't Starve: Giant Edition want to trade their unused buddy code with me? I have Guacamelee, OlliOlli (both Wii U and 3DS) and SteamWorld Dig (both Wii U and 3DS) codes I'd be willing to trade with. If anyone's interested, let me know and I'll get back to you when I come home from work later. Lucky Americans getting MMBN 3 (earlier) and 4 (today)! Nothing for me this week but I just picked up Bayonetta 2 for 44 dollars from Gamestop. I'll be getting Splatoon at retail. It looks like I have more Battle Network to catch up on. And the Zero series seems interesting, but the allegedly high difficulty worries me. I voted Splatoon but I will be picking up the hard copy. Don't Starve looks cool, but with Splatoon and the darn amiibos I can't spend another $15 this week. Too bad still no 3DS VC. I wish we'd get some Wii games.... but I guess we gotta wait for Megaman games to end.... Splatoon won't be for a while either as it costs way too much in North America. The price will have to come down $20-$30 before I even consider it. I added in the Wii games complaint for you. Er, maybe e-mail if you're interested: [email protected] or DM me on Twitter @biscuitspace. Thanks! Where is Mega Man's Soccer on SNES?!! 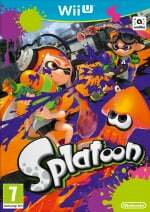 @Grumblevolcano - And Splatoon for only $60 w/o the 10% demo discount. Splatoon retail, glad there's nothing else I want to DL, funds are limited. Not even trying to find the amibo. Free american Guacameele Wii U eShop code, first come first serve! Just, please comment when you take it. Which Mega Man Battle Network is better: Red Sun or Blue Moon? I recently beat MMZ3 on my DS in the MMZ Collection. Fantastic game. And a DSiWare shmup? It's just like the good old days! Hopefully it's good. when will we be getting zero mission? and here's hoping that we get mega man ZX, ZXA and I guess the star force games next year! MMZero collection would be good too. @DarthNocturnal My bad, it's 3, poll's been updated. Splatoon! Retail. I'll also have fun not getting amiibo...but I'm still going to try. yeah, zero 3 is hands down the best of the series, and I love the version on the collection, because the eReader cards are just crazy. The original GBA one is apparently better quality, while the collection was censored and altered in a few places. @ThomasBW84 "This was the last in this RPG spin-off series to arrive on the Game Boy Advance, though it did then progress onto the DS." This is wrong. The entire series was on GBA. MMBN 5 and 6 thus were on GBA. MMBN 5 was the only one to appear on the DS and that one appeared on both GBA and DS. No "progressing" to DS at all. Edit: I see. You already corrected that. Edit 2: Oh, ChaosValentine was faster than me. Nobody played Amazing Spider-Man 2? @Olmectron And.. Yoink! Thanks Olmectron. so in Canada Splatoon cost $70 Plus $40 for the 3 amiibo. Poor form Nintendo. I will buy the game but I'll be locked out of Content because I don't think that the content of this game is worth $110. I've been a huge backer of Nintendo this generation but if this trend continues I'll have to back out. Has anybody noticed the lack of any additions to the 3DS VC line up as of late? Not that I think it's lacking it's just kind of surprising. Not purchasing digital retail games, so nothing for me this week. Maybe will get a disc version of Splatoon when it arrives in my country. Just maybe. Don't starve (split with a friend), Splatoon 3ds theme, Splatoon retail and hopefully my Amiibo preorder won't be cancelled expensive week. I'll be mainly picking up discounts this time around, taking the wait-and-see approach with Splatoon. The 3DS e-shop has become a weekly joke. Nothing but 1 or 2 shovelware games, and no VC whatsoever. The same batch of games being recycled on sale too. I'm losing my faith in it as a whole. Getting the Splatoon theme and probably the game physically tomorrow...now if I can get the three pack. Hope the Mighty Switch Force Theme comes to Europe soon too. Nicalis, before doing any sales, you should...I don't know...PATCH YOUR GAMES!!! One year later, still no 1001 Spikes patch, and my game is still bricked (I keep it that way as a reminder to NEVER buy again from Nicalis until they hire someone at quality control). Please people, don't give them money. Giving them money is just showing them it's ok to release buggy mess like they do. Splatoon here I come! If I had more money I'd probably get one of the new 3DS themes. Best thing this week is that the SNES Wii U VC still lives! I don't see the splatoon theme yet. I'm guessing it'll go up tomorrow to release with the game? I just downloaded RCR:DX last night with the discounted price and picking up Splatoon tomorrow at GameStop, so nothing for me this week. I thought the NES Brain Culture games Little Ninja Brothers and Flying Warriors (?) was being released today. Or is that just for Europe. Are these games good? LNB seems like a jrpg and action mix. Well, Splatoon of course. Bought it since Saturday. WONDERLAND actually looks good! Seems difficult to die based on the hitbox, but otherwise inspired by Touhou, according to the Youtube video I watched. I got Splatoon today for some reason. It's sooo good. What about Golden Sun Part II? I'm most excited for Splatoon, but since I'm getting that physically, I voted Don't Starve since I'm actually going to download that. Splatoon. Was there ever a doubt really? And yes, I'm gonna go for a retail download. I remember wanting taht DSiWare game a while ago. Glad to see it finally come over. (insert my weekly "Where the F___ is Zero Mission! Bleh! You hate Metroid, NoA!" rant here) Now with that out of the way, Splatooooooon! I'm so excited, even though I won't be able to online really at home. a little upset about the splatoon pricing so I'll pass until NoA drops the price. 36 euros is about 40 USD. I see no reason to pay $20 more for a game. NoA really needs to explain this. My funds are going to amiibo this week. As excited as I am for Splatoon, I can get that any time I want. The amiibo are going to be a lot more rare. Ooh, Don't Starve comes out today? I had forgotten about it! Thanks to Nintendo's lack of Brazilian distribution (and my insistence on owning boxed games), I'm not expecting to get my copy of Splatoon until the end of next week at the very least. It's gonna be nice to have another anticipated game to tide me over until then. Splatoon is so expensive. $59? While Europe gets it for for 34 Euros and some are getting it physically as low as 22.. I HATE how we get big releases only on freakin' Fridays. Today would have been just as good like Japan.. Friday is just so inconvenient for myself. I might download VVVVV. I'm really waiting for and excited about Gotcha Racing due in the next 6 weeks or so. Nice to see Nicalis have a sale. They hardly offer sales. VVVVV is the only Nicalis game I need on their sale. I have the rest. That's a good deal for Grinsia. Its a decent RpG. Although Splatoon looks to have some decent online I'm not interested in it. I picked the Humble Bundle this week for $25. Don't Starve might be a purchase, but I generally am not a rouge-like fan. Splatoon will probably be the choice for June since Xenoblade will not be out. So we're getting a DSi release, but no 3DS VC release? Everyone needs to pick up a copy of don't starve. I have it for ps4 and vita with the ps+ and it's a great tough game. Anyone who doesn't have 1001 Spikes should certainly pick it up. Yes, it's challenging, but it's incredibly fun and rewarding. I bought it at launch and have been playing it frequently ever since. Beating the entire game 100% is one of the most satisfying gaming accomplishments I've had in nearly 30 years of gaming. Splatoon, but I won't have that kind of dough yet, & I'm gonna attempt to get a Lucina amiibo. Mega Man Zero 3 is the only other thing here, I'd want from this week. @Drac_Mazoku 1001 Spikes actually received a patch that fixed all the glitches, added off-TV play, and additional controller support. Just delete your bricked game and re-install it. No Splatoon for me. I don't have $70 to spend on a game plus my gamepad is busted right now. Will wait for it to drop price or my birthday or Christmas to get it. Plus there are other games that I want more. It's about time Don't Starve makes it to the Wii U eShop! Hahaha! I waited nearly 3 years for this! Nothing for me this week from the eshop, though I am picking up Lord of Magna this Tuesday from GameStop. The price for themes keeps going up. They used to be $1.99 for themed ones. Then they went up recently to $2.49 (cause of exchange rate), and now I've seen three that are $2.52; both Shantae themes and the new MSF theme. Add in 13% tax and man, these themes are getting to be really expensive. If SEGA makes an 3D After Burner II or 3D Out Run theme though, I'll get them. The two themes that came out recently were $1.99 so the price didn't go up for those, and I'm more inclined to get themes at that price. The Eevee theme is cute, but I don't think I'm willing to pay $2.81 for it. Not bothered at all by there being nothing good this week. I'm still having a blast with Story of Seasons and Puzzles & Dragons! never, but the 3ds eshop (not just vc) died years ago. Please throw out a comment if you take the code. tried it, it was used. It's the same for 3DS every week. Nothing. Nintendo is only making Home Theme for the 3DS now, yay! Home Theme is so fun to play with, I'll just buy a 3DS Home Theme and stare at the home screen this weekend. Got TMNT Danger of the Ooze for 3DS (50% off). 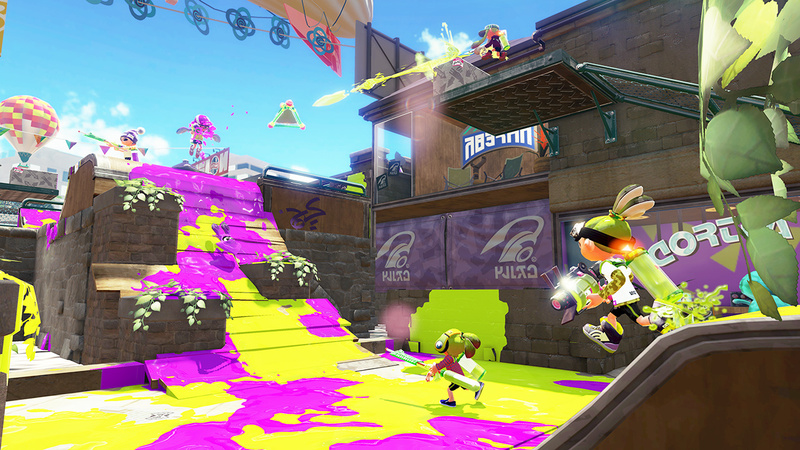 Splatoon looks cool, but i'm not really into online mp... wish it had more of a single player campaign. might pick up it later if I see it on sale. Nothing for me this week. @Donjwolf Just glad someone could take advantage of it. No sense in letting it go to waste. Voted nothing this week, but will be picking up a retail copy of Splatoon. I think I will finally get Cave Story 3D since that game has been on my to-buy list for what seems like forever. @Miko08 Yeah, wish us in NA were seeing a lower price as well. But with retailer Best Buy and GCU (Gamer's Club Unlocked) I was able to preorder at 20% off, so $48 plus tax. Would get Splatoon if I have a Wii U, but at least there's a Splatoon theme for 3DS! Will get that for my Splatoon dose until I get a Wii U.
OK. Now that Mega May is over, can we get Metroid Zero Mission starting next week? I'll be getting Don't Starve and Splatoon(latter of which will be retail though, so I voted DS). Between these two games, the Mega Man games and the Nicalis sale, pretty good week. Well, there has never been a better time for me to buy Cave Story 3D so I guess I'll be picking that up! I loved NightSky, so anyone who is into ambient puzzle games should give it a go. It's totally worth it if you are into the Knytt games like me. They both have the same vibe. I'll be picking up Don't Starve as well, but not right now. Already have plenty of games to play on Wii U. Not so many on Nintendo 3DS. I can't wait to get a physical copy of Splatoon on Saturday! gonna get my copy of splatoon at target along with a free splatoon themed watergun. i think thats what the ad said. I have the Nicalis games on the list for price drops but they are still at the normal price, is anyone getting the same problem? @bezerker99 I wouldn't count on it. @TeeJay I've gotten used to it. 1001 Spikes has a terrible audio bug on WiiU. I wrote a detailed description of it for Nicalis and even recorded a video of it for them, and they didn't respond to either message, let alone patch the issue. It's really disappointing because the concept of the game is great. EDIT EDIT EDIT — just redownloaded the now-patched version, and the bug seems fixed. They also added off screen play-- cool! 1001 Spikes is back on my recommended list! @Zach777 I got it!!! THANKS!!!!!!!!!!!!! @Link41x 59.99 USD is $74.50 CAD.... lol better if you pay the Canadian price. Wow almost fell out of my chair when I saw 4 vc games this week!!!!! Keep it going Nintendo!!! I got Gabrielle's Ghostly Groove. Was only $2, looked pretty cute and I like rhythm games so why not. Might get VVVVV. Definitely getting that Mighty Switch Force theme. Pokemon shuffle theme should be free just like the game, but make you pay for add ons. hahaha. @Savino found the wii u hater. yeah cos $60 for yearly MP CoD with $15 or w/e per map pack is so totally worth it. Getting the Mega Man games eventually. Also buying Splatoon day one, but I'm getting a physical copy. @Uberchu If you look solely at launch then CoD actually has the better value, it's the long term in which Splatoon wins as all those added multiplayer maps and modes are free compared with CoD's season pass approach. So I expect Splatoon will be worth $60 in August. Did the last patch for Grinsia manage to fix the arbitrary crashing issues? Then $5 wouldn't be a bad price. I will snag the Grinsia discount. I hope that bug you mention isn't still there, would hate for my first game of theirs to sour me on their future games. Looks like I will finally be bending to get Cave Story. Maybe this time I can actually finish it, although it won't be the same since I have the PC My Little Pony mod 'Cave Derpy'. The Nicalis discounts seem to be unavailable in Mexico. They appear on the list but they don't have the "sale" tag and are at their normal price. EDIT: The Nicalis games have been completely removed from the ¨price drop¨ list. The discounts are not available in all of North America.